The document will fully come into force on September 1, 2017. President of the European Council Donald Tusk handed the final decision on the ratification of the Association Agreement between Ukraine and the European Union to the President of Ukraine Petro Poroshenko during a joint press conference with the President of Ukraine and the Head of the European Commission Jean-Claude Juncker after the Ukraine-EU summit. "I would like to take this opportunity to give you this document. This is the final decision on the ratification of the Association Agreement between Ukraine and the EU. Congratulations!” Tusk said. 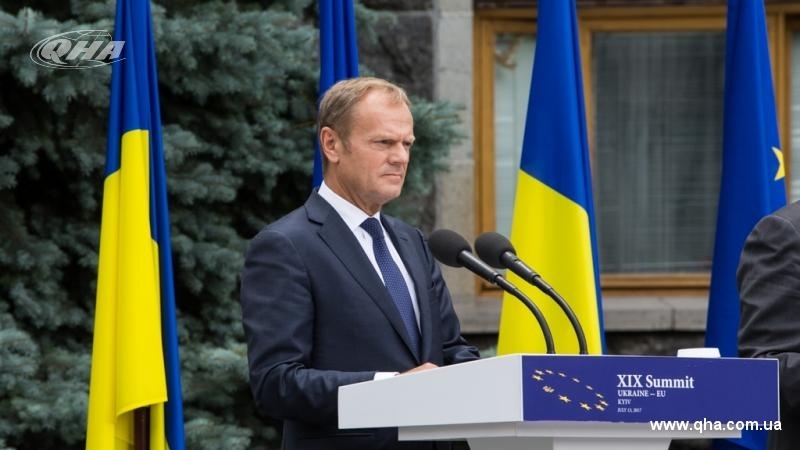 Donald Tusk noted that the ratified Association Agreement would strengthen cooperation and deepen the political association as well as economic integration of Ukraine in the European Union. The Council of the European Union approved the Association Agreement with Ukraine and the EU on July 11, 2017, thus finally completing the ratification of the Agreement. It is expected that the document will fully come into force on September 1, 2017.